We all want to know about the dark days you stumble through and what you learned along the way. People who haven’t struggles are boring. People who live in bitterness are ugly. Enhance your value by resolving yourself with your story. 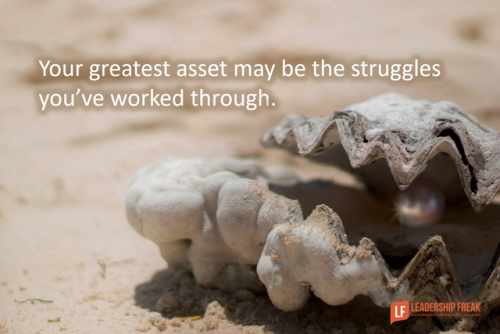 You’re greatest asset may be the struggles you’ve worked through.